Make sure it’s fair trade! Another great message from our good friends over at Fairtrade Canada. For their latest run of buttons, we’ve created a series of 1.5” pins all promoting fairness and equality in the marketplace. We work hard to build and maintain healthy relationships with all of our clients, and treat each job with the care and respect they deserve. These high standards set us apart from the rest, and ensure lasting relationships which continue to flourish. 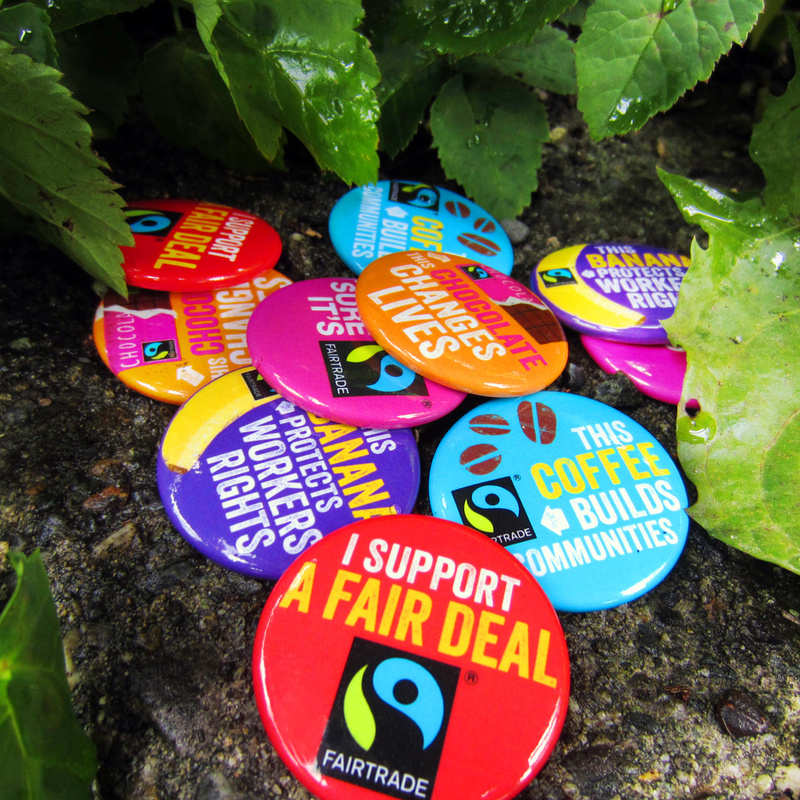 Fairtrade Canada helps define, and maintain the standard for what is considered ‘fair trade’ in Canada. This enables the consumer to support good business practice, and make a positive difference in the world. So go ahead and show your support for fair trade by rocking one of these awesome buttons! Besides, with tag lines like “This banana protects workers’ rights” and “This chocolate saves lives”, it would be unfair not to.